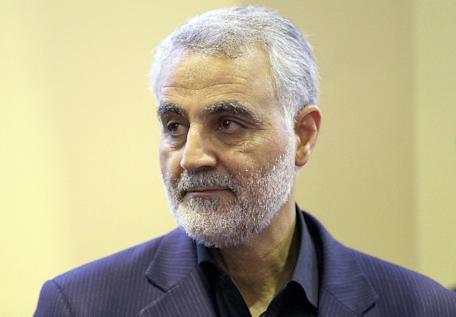 Tehran (AFP) - Iranian television published a rare picture Monday of its elite Quds Force chief in Iraq that was widely circulated online, puncturing the mystique of one of the region's most powerful men. The Quds Force, a branch of Iran's Revolutionary Guard, is highly secretive and conducts security functions abroad deemed necessary to protect the Islamic republic. "He is indeed like Keyser Soze," a senior US official once said, comparing Suleimani to the seemingly invisible character portrayed by Kevin Spacey in the film "The Usual Suspects". The Iraqi military's collapse at the hands of Sunni Muslim militants near Iran's border invokes fear in Tehran. Iranian media regularly report the death of Iranian "volunteers" killed in Syria and Iraq in fighting against jihadists. The authorities claim the combatants are there of their own choosing to protect Shiite holy sites.